On Valentine’s Day of this year, celebration turned into tragedy at Marjory Stoneman-Douglas High School when former student Nikolas Cruz entered the building armed with an AR-15, killing seventeen students. This mass shooting shook the affluent, supposedly safe community of Parkland, Florida to its core, and prompted a nationwide resurgence in the movement for gun control, with events such as the “March for Our Lives” calling for further restrictions (or outright ban) on the sale of assault rifles (cite source here??). Simultaneously, others have proposed alternate solutions to the hot-button issue of gun violence, pointing to the mental health issues seen in several mass shooters. More specifically, what causes these psychiatric illnesses. Shortly after the Parkland shooting, President Trump suggested that violence in video games and movies (should I include?) are contributing to mental problems, potentially warping the minds of America’s youth. He has since invited several major gaming CEO’s and media watchdogs to a meeting to discuss the issue (1). As such, the debate on video game violence, an ongoing dispute, has come back into the forefront. Me, being both a lifelong gamer and a passionate opponent of censorship, am somewhat concerned as to what this means for the future; will strict legislation on video games be passed? I sure hope not. I do not believe that the government should pass any laws either censoring, or further restricting the sales of, video games. Objectionable content in video games have been the subject of public controversy, with one of the first major flashpoints being in 1993, with the release of the popular fighting game, Mortal Kombat, onto home consoles. As visual effects in games became more lifelike around this time, Mortal Kombat stuck out as being particularly photorealistic for its era. Most notably, it was infamous for its unprecedented depiction of graphic violence, allowing the player to perform actions such as brutally yanking an opponent’s spine from their body. This caught the attention of U.S. Senator, Joe Lieberman, who began to advocate for the censorship of such material. After a Senate hearing with key industry figures failed to make progress, the Entertainment Software Ratings Board was voluntarily created, which allowed games to be released uncensored, but with a content advisory label stamped onto packaging (2). Strangely, according to Pew, violent crime has significantly dropped overall in the United States since 1993. At the time in which Mortal Kombat came under scrutiny, approximately 741.1 in 100,000 residents were reported to be victims of violence. By 2016, this number fell to 386.3 (3). Although this is a very broad statistic, and correlation does not necessarily lead to causation, the fact that violent crime has been nearly halved during a time in which video games have become increasingly commonplace, certainly undermines the naysayers’ argument that violent crime has increased because of them. Unfortunately, facts do not always dictate public perception, as evidenced by 2016’s data reporting that “57% of registered voters said crime in the U.S. had gotten worse since 2008, even though BJS and FBI data show that violent and property crime rates declined by double-digit percentages during that span” (3). I believe that the public’s misconceptions on crime can likely be attributed to their constant, all-day-every-day feed of breaking news, which tends to highlight negative headlines the most; look at how often the perpetrator of the Parkland shooting is mentioned! On that note, the fact that there is constant coverage of the same shooters over and over again artificially inflates how many of those types of people exist much higher than it is in reality. If that is not enough to convince one that this issue is overblown, psychologist Patrick Markey’s finding that approximately eighty percent of mass shooters were not even reported to be gamers should certainly help (4). Compared to the millions (FIND SPECIFIC NUMBERS!) of people who play video games, only a minuscule amount of them become such crazed killers; is it really fair to censor or restrict the sale of games if it will essentially punish the exponentially larger majority for the actions of an incredibly small minority? In terms of whether or not violent video games can influence a young child or adolescent to become destructive in the real world, I believe there are two variables at play: the parents’ role in teaching their child not to repeat everything they see, as well as the child’s natural emotional maturity level (possibly look up EQ statistics to verify variations in maturity?). Clearly, it is a parent’s responsibility to help his or her child distinguish right from wrong, and reality from make-believe. In turn, parents and guardians should know their children well enough as individuals to understand what things they can and cannot handle. In my opinion, this is why the ESRB rating system is so important; if parents took the extra five seconds to look at the content stamps on the back of a game’s case, they will be able to rather easily identify what they think is and is not suitable for their child. While it is true that some retailers do not allow a person under 17 to purchase M-rated games without an adult present, and it should be their choice to enforce that policy, above anything else, including the government or a retailer, a parent should decide what is right for their child. End on a thought-provoking note. As I have stated previously, the topic of my persuasive essay is the controversy regarding the censorship of and restrictions of sales on video games. More specifically, I will spend the paper arguing why this is NOT a fair, viable solution. As both a passionate, lifelong gamer and a strong advocate for free speech, I felt that this specific topic for my essay was like a match made in heaven! As such, I greatly look forward to presenting making a solid argument, the audience of which mainly consists of those currently between the ages of 18 to 35 (also known as “millennials”), who grew up in a time where video game graphics became more realistic and therefore portrayed more lifelike violence, in turn creating this debate. My audience has heard the cries of (mostly) older generations, who proclaim that violent video games are responsible for real-world atrocities such as mass shootings, among other things. Many of these naysayers have even gone to state that regulation of these games is necessary. I plan to dispel the argument through a variety of methods, including statistics on crime, shootings, and the number of regular gamers; this will be done as a means to “arm” the audience with the knowledge on how few people actually are violent criminals relative to the number of those who play video games on a consistent basis. Additionally, I will stress the importance of the responsibility of parents, not the government, in controlling what games kids play. In other words, I will make appeals to logic, or “logos”. In terms of appeal to emotion, I definitely want to have it present in my paper, while at the same time making sure that it does not overstay its welcome and come at the expense of reason. One idea that I have in which I would possibly use pathos would be to “hook” my audience in with an instance of how unfair it can be when something that can be fun is taken away from everyone just because a select few misuse it. For example, I may ask something along the lines of: “is it fair for the government to ban candy just because some random person got a heart attack from eating too much of it?” However, part of me is worried that starting my argument out with something like this will cause my audience to be too invested in their emotions from the get-go. If I were to pick my biggest concern for this project, it would definitely be what I personally perceive as a lack of real credibility on the subject, or ethos. True, I can cite the best sources, but part of me fears that I do not have the credentials to discuss such a hot-button issue. Perhaps I could mitigate this by intertwining some gaming history as a means to give my arguments some context, but I am unsure as to whether or not this adds much. Additionally, while I want to persuade people to believe in what I am arguing, I am still not certain on what my “call to action” will be. However, I plan to discuss my concerns to my colleagues tomorrow and hope to improve on my shortcomings as best I can. The author, Eric Roberts, claims that the human race is naturally violent, essentially citing every war in history as an example. While I agree that people are not entirely peaceful beings, Roberts’ subsequent statement that violence in video games leads to violent behavior in the children that play them comes off as a sudden jump to an unwarranted conclusion. Roberts then states that the reason children are so easily exposed to violent video games is because while they are not allowed to buy M-rated games without a parent present, they can still play them. Although the author is correct in stating a fact, the problem lies in that the M-rating restriction is intended to inform parents that a game may not be suitable for their children. It is ultimately a parent’s responsibility to regulate what a child is and is not exposed to, not a larger power, and children will not be able to play video games too inappropriate for them if parents keep this in check. The author argues that the constant exposure to violence in their games desensitizes children to real-world violence. In my opinion, there may be some credence to this argument, but I think it really depends on the maturity level of each individual child. Again, parents should know how mature their child is, and keep a close, responsible eye on what their they are playing to prevent any supposed desensitization to begin with. Eric Rodgers then proceeds to bring about the infamous “school shooter argument” in order to solidify his case. I have said this before, but I will say it again: we must remember that the perpetrators of these horrendous mass shootings make up an extremely small percentage of the population. True, at times, it may seem like an ever-increasing amount of people are shooting up schools, but this only feels like that because the 24/7 media constantly shows the criminals over and over again, artificially “inflating” how often these things actually happen. Unfortunately, what many people do not take into account are the millions upon millions of individuals who play violent video games, yet still turn out as productive, functioning members of society. Overall, however, my main problem with Rodgers’ arguments lie in that he lacks real sources and statistics to back himself up. In a world where we are constantly exposed to negativity in the media all day, every day, I can understand where the author is coming from, but in the process, he is overly reliant on emotion over logic, jumping to conclusions excessively. Question of Policy: Video games should not be further censored or restricted in the United States. Violent video games should not be held responsible for acts of real-world crimes or violence, and therefore, attempts to censor them or further restrict the sales of them are heavily misguided. Recent events have put the debate on gun control back onto the political forefront. However, legal restrictions on the sale of assault rifles are far from the only suggestion on how to resolve our nationwide dilemma. Specifically, some have pointed to violence in movies and video games as influencing our country’s infamous mass murderers. Even President Trump has weighed in on this issue, organizing a meeting with many top executives in the gaming industry to discuss it with them. As such, I would not be surprised if a similarly large debate on violence in our entertainment opens up in the near future. Seeing as I write pieces on the civic issue of the restrictions on free speech, as well as the fact that I am a passionate gamer, the fact that the two are overlapping makes for an interesting opportunity for me to research the controversy on video game violence. Mainly, I want to create a solid argument on why video games should NOT be restricted by the government or any other public force, especially given my almost unabashedly libertarian stance on these kinds of issues. Personally, I think that blaming video games for one’s real acts of violence is unfair to both a perpetrator of crime as well as law-abiding gamers. With every major mass shooter in recent memory, one very common denominator residing in all of them is that they all have struggled with mental health. Sure, some were known for their gaming habits, but the hole in this argument lies in the fact that millions of other people also play video games, but do no such heinous actions. We need to put in perspective that the horrible murderers our news feeds constantly, repeatedly show make up an extremely minuscule proportion of our population; is it really fair to collectively punish everyone? I sure do not think so! Are video games REALLY the cause of all this recent violence? Find statistics on amount of regular game-players. Good Ben Shapiro article on this recently. Should parents be fully responsible for what games their children are exposed to, as opposed to the government? What about the ESRB rating system? Don’t they restrict the sales of M-rated games? Should the government even be involved at all? I, alongside my classmates, was assigned by our English professor to attend a different class’s deliberation panel before we did ours. Seeing as all of our busy schedules varied from one another, we were able to individually pick which one we could go to. Almost immediately, one event in particular caught my eye: “Using the F-Word: Should Free Speech be Limited in the U.S.?” Seeing as this topic not only tied in perfectly with my Civic Issues blog, but was one I was particularly passionate about, I knew I had to attend this deliberation. Besides, given my unabashedly anti-censorship stances on the matter, I was naturally curious to hear different points of view on the issue. No limitations or restrictions on speech. Culture and society to set informal “boundaries” on speech considered threatening or hateful. Government intervention in what should be considered “free speech”. As one may imagine, the first approach was my forte, and arguably the one I contributed the most talking points to overall. An interesting subtopic our group brought up here was that views that differ from the mainstream consensus can often be interpreted as “threatening”, citing the scrutiny that Nicolaus Copernicus came under when stating his then-unpopular idea that the Earth revolved around the sun. Many of us argued that the suppression of “risky” ideas can potentially hide the truth and, in turn, hold back societal progress that could be made expressing said idea, as is what could have easily happened with Copernicus. During the middle of Approach #1, one point that I proposed is that, at least to a certain extent, speech that is considered offensive is merely subjectively so; what may be off-putting to one person may be a compliment to another. As such, I stated my belief that one should not jump to conclusions when hearing something that may at first sound controversial, seeing as not everything said in this vein is intended to be an attack. If I were to describe my position on free speech incredibly briefly and to the point, it would most likely be along the lines of the previous sentence, so I am glad that I was able to contribute my beliefs in their “purest form” to the deliberation. In my perfect world, I feel that the first approach would be ideal. However, I would argue that, in a democratic society such as the United States, Approach #2 is the most realistic proposal. This part of the deliberation states that boundaries on free speech should be set not by laws, but more “informally” by socio-cultural norms and standards. As an aspiring economics major, I personally likened this concept to the “invisible hand” of the market, the idea that things will eventually sort themselves out when left to their own devices, free from government intervention. For the most part, I believe that this is not a bad idea when it comes to dealing with what should be protected under free speech. However, I do see the flaws that my colleagues pointed out, such as society leaning too much in favor of a majority viewpoint, stifling less popular opinions. In our incredibly divided nation, the struggle to find a common ground on many issues may also make for a slow “sorting out” process. As I predicted, by far the most controversial approach was the third one, in which the government intervenes. True, there were positives to this ideology, such as the state having the ability to protect individuals from unfair slander, as well as stepping in when speech turns to violence. However, I recall the deliberation mostly turning against Approach #3 when someone pointed out that, in the worst-case scenario, a small elite could take advantage of the regulations and legally suppress speech that disagrees with their agenda. All in all, I remember most of my group leaning toward Approach #2 by the end of our meeting, myself included. I will admit to being a little disappointed when seeing everyone have a similar opinion to me, but I was still satisfied when remembering how we went through the pros and cons of each individual approach. At the end of the day, I believe that just as long as I am exposed to the good and bad of each viewpoint, that is still more than enough, and in a way, I can very much respect the civil manner in which we discussed the less popular perspectives. Back in the third grade, I vividly remember one morning in which several of my fellow classmates were loudly talking over the teacher. I was not involved in this rude behavior, instead trying to focus on my work. Regardless, our teacher had enough of our antics, and decided to give us extra homework as a punishment. We all went silent, and I was especially shocked when I saw that I was given the same worksheet that all of the “bad” kids were getting. I felt a sudden surge of disgust go through my mind, and my then nine-year-old self simply could not stand it. I remember breaking down in tears at this perceived injustice, but at that point, the teacher was at his limit, and sent me to the principal’s office for my reaction. Even back then, I absolutely hated the idea of blanket discipline; the only reason I was given extra homework was due to simply being in that class full of loud kids, a classic case of guilt by basic association! In the decade since my personal experience, my philosophy on the matter has not changed a notch, and to put it bluntly, I believe collective punishment needs to die. This is why I breathed a huge sigh of relief when I read the above article, which stated that only seven Beta-Theta-Pi student members were ultimately charged for the hazing case of Tim Piazza. However, the “bigger-picture” outcome still remains to be seen: whether or not fraternities should be banned, if not highly-regulated. Obviously, I can only hope that individuals, not collective groups or organizations, are held responsibly in the grand scheme of things. “underground” organizations being established if school-sanctioned ones are banned. However, I feel that this article is missing one very simple, yet very key reason why a total shutdown of Greek life probably cannot happen: students will be pissed. Going back to my personal experience in which I was punished with extra homework for behavior I was not involved in, I remember that this was a small classroom comprised of about fifteen little kids, and one “big and scary” teacher. As such, while many of my classmates back then may have been angry about it, there was not much we could do. However, if something on a much larger scale, such as the potential ban of Greek life, were to affect thousands of adult college students, there is no doubt in my mind that the backlash would be enormous. Protests of all sorts would likely erupt, making it more feasible to simply keep the status quo, rather than risk upsetting such a large amount of students and disrupting the university’s basic functions. This past Thursday, the Polish Senate had passed a bill which would make any public speech suggesting that their nation was guilty of executing people as part of the Holocaust illegal. If their president, Andrzej Dula, agrees to sign this into law, even referring to the likes of Auschwitz as a “Polish death camp” could get one thrown in prison. While finding these terms offensive is a very popular opinion in modern-day Poland, as with many things deemed offensive, the debate lies within whether or not it should be labeled as “hate speech”, and in turn banned. Poland’s controversial proposal has not only sparked debate between supporters and those opposing of the bill, but has also put them at odds with other nations, namely the United States and Israel. The latter’s Prime Minister to Poland has spoken out against such a law, stating concerns that it could be a precursor to Holocaust denial. Israel has even delayed a diplomatic visit from a Polish official in response. Similarly, the U.S. has also denounced the legislation, believing it goes against the core principles of democracy. My thoughts on all of this? Although I am non-practicing and admittedly a religious skeptic, I am ethnically Jewish. Naturally, as most others should be, I fully condemn the actions of the Nazis against not just my people, but many other innocent civilians as well, and can only hope that something as atrocious as the Holocaust never happens again. 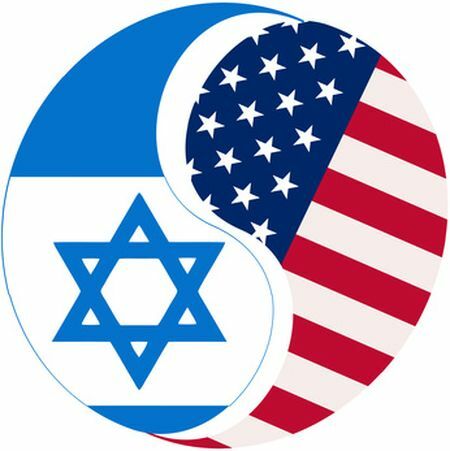 I am also an unabashed supporter of Israel, believing that the Jews have every right to their own state and territory. However, above all else, I am a proud American, and a strong believer in the Bill of Rights. As such, I cannot condone what the Polish government is currently trying to do. While I am aware that Poland was invaded and controlled by Nazi Germany during the Second World War, I will own up to being somewhat unsure on how much involvement the Polish themselves had on orchestrating the Holocaust, other than the fact that several concentration camps were stationed there. If others are similarly uncertain about who is truly guilty here, I can definitely understand why this would be an incredibly hot-button issue in Poland. However, regardless of how little or how much a role the Poles played in the extermination of Jews, it still does not change my mind on my staunch opposition to their President signing the Senate’s proposed bill. From a practical standpoint, a law criminalizing this type of speech is simply incompatible with a twenty-first century democracy. When one looks at totalitarian nations such as North Korea, they often hear horrific stories of citizens being executed for stepping even slightly out of line. Although I am aware that “slippery slope logic” is fallacious, and that the signing of this legislation would not necessarily mean Poland will become the next crazy dictatorship, the idea of imprisoning someone over referring to Auschwitz as a “Polish death camp” is quite disconcerting to me. I mean, imagine if someone got in trouble for saying something like that by accident in a speech? Sure, people may be offended, but in my opinion, that is not nearly enough to warrant years of one’s life being taken away by a prison sentence. Even in the scenario that the Polish were indeed responsible in aiding the Nazis in the Holocaust, I would still oppose the proposal to ban speech suggesting their involvement. True, the government wants to protect the country’s reputation, but this may only be a short-term solution, quickly putting a band-aid over potential slander. In the long run, however, Poland could severely damage their relations with other countries for erasing any mention of their involvement in such a horrific event. This has already been seen with the responses of both Israel and the United States, and I can only imagine how much further things will be strained between Poland and those two if their President actually signs the bill. Whether it be an individual or an entire country, no one likes to admit that they made a poor choice or involved in a wrongdoing, but the reality is, everyone makes mistakes, and nobody is perfect. The level of overall Polish involvement in the Holocaust may indeed be up for debate, but debate is a key component of a free, democratic society, even if it means disagreement. In discussing such a touchy topic, rather than suppressing it, Poland can better learn from their potential missteps, just as an individual grows from their mistakes. Yes, I know you talk, and you sound HIDEOUS! As a young boy, to put it lightly, I certainly had my quirks. While not a “bad” kid by any means, I was certainly rather offbeat; I said unusual things, had weird interests, and was afraid of stuff that no one else was. What was one of my odd phobias, you ask? A “LeapFrog” toy; you know, one of those educational, electronic toys that helps little kids to learn their letters. For whatever reason, possibly stemming from a nightmare I could’ve had, I was terrified of the toy when it shut off automatically and said “goodbye for now!” Call me crazy, but the mere thought of that pixelated frog waving at me from his little screen and saying those three words in his low-tech voice used to make my skin crawl. Once I developed the fear, I remember refusing to go anywhere near that toy, making sure I would never hear that oh-so-horrible phrase from it again. Just about everyone has experienced a time in which they absolutely dread an upcoming event in their lives. Whether it be a major exam one needs to take, a speech one needs to deliver, or in my case, a “scary toy” saying something in a way that didn’t sit well with four-year-old me, many are petrified by the thought of something terrible happening, at the idea that one’s whole world will come crashing down should things go even slightly wrong. As such, our fears of the unknown are often irrational, as was especially the case with the letter toy, which I knew couldn’t hurt me, yet still had a panic attack if I were to hear it turn on, bolting out of the room with my ears covered tightly and trembling in utter terror while hiding in a safer space. This particularly became an issue around the time my younger sister, seven years my junior, was about a year-and-a-half old. That’s right, I was afraid of a baby toy when I was eight! Anyways, my parents gave the toy to my little sister as a hand-me-down in order for her to start learning the alphabet early. Obviously, I just wouldn’t have that, so I hid the thing in a deep, dark corner of our basement, where I hoped no one would ever find it. Deep down, however, I knew that it was only a matter of time before someone found it, and I would have to face my fear. Regardless, it definitely makes sense as to why I did what I did; delaying the inevitable is a common “knee-jerk reaction” amongst individuals forced to deal with an anxiety-inducing situation. It is seen when one procrastinates on studying for their midterm until the night before, when they let their classmates present their speeches before they do their’s, or when one tries to avoid hearing three simple words from a machine. 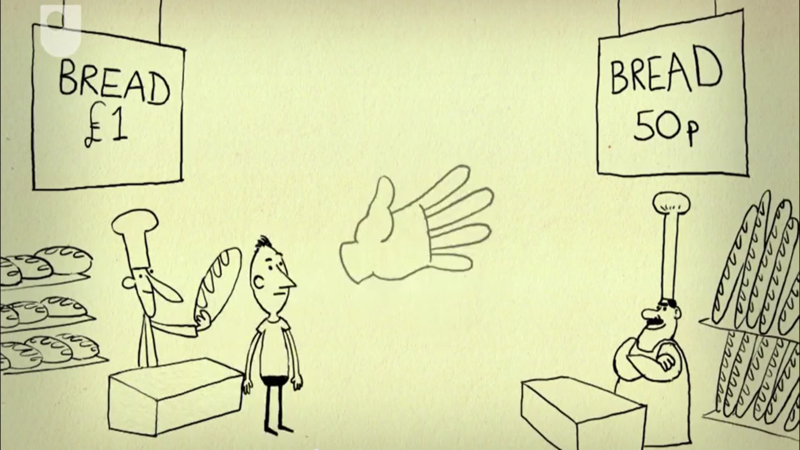 The thing is, however, what typically happens when a person puts something off until later? They end up regretting that decision. For example, because I kept running away from my fear, however silly it may have been, I didn’t actually end up overcoming it until I was eleven. Yes, ELEVEN! As one may expect at this point, my twin sister eventually found the toy’s hiding spot, and made sure I overcame my fear; by “made sure”, I mean she pinned me down against the floor in front of the toy, leaving it on and forcing me to hear it say those dreaded words. I recall struggling and screaming for help while she did this, and for the first time in years, I heard that 8-bit frog say “goodbye for now!” My initial reaction: “That was it? THAT’s what I was afraid of? !” I remember hugging my sister afterwards, thanking her for “torturing” me. It’s funny, I had spent so much time under anxiety for that moment, yet in a matter of seconds, the toy had lost all fear, and I remember wishing I had faced it sooner, much like, say, someone who bombed a test due to putting off studying. I see this sort of phenomenon quite often, in which one worries intensely about an upcoming event, possibly avoiding anything having to do with it as a defense mechanism. However, once said occurrence has passed, regardless of how well it went overall, one thing many individuals often notice is that the event itself was not as bad as they had dreaded it would be, feeling as if a longstanding, giant weight on their shoulders has abruptly vanished into thin air. As one of my high school teachers once told me, “anticipation is always worse than realization”. Given past experiences, these words really resonated with me on a personal level, and I truly hope the same can be said for others. In most cases, excessive worrying about a situation before it actually happens is unproductive. It not only blows things way out of proportion, but I’ve also found it to actually ENCOURAGE procrastination on the matter, which in turn, will only make matters worse. While I’m certainly not saying that one should be too laid back and not worry about anything, what I do wish to convey is that, if anything, most worrying should be done after the fact, when they have actually experienced the situation in reality, as opposed to in their minds. If a person learns to believe in themselves, take things in the moment, and not let doubt cloud their judgement, then I am certain that they can not only face their fears, but take great chances that will lead to exceptional outcomes! As a young boy, I had my quirks, to put it lightly. While I was not a bad kid by any means, I was certainly rather offbeat; I said unusual things, had weird interests, and was afraid of stuff that no one else was. What was one of my odd phobias, you ask? An educational LeapFrog toy; yes, I know! For whatever reason, likely stemming from an early childhood nightmare I may have had, I was terrified of the toy when it shut off automatically and said “goodbye for now!” The mere thought of that pixelated frog waving at me from his little screen and saying that in his low-tech voice used to make my skin crawl. I vividly remember having panic attacks and bolting out of the room with my ears covered if the toy was turned on near me. Years later, my twin sister found the toy after I had successfully kept it hidden in our basement for so long, and helped me overcome my fear; by “helped”, however, I mean she pinned me against the floor in front of the toy and made me watch it say those dreaded three words. I recall struggling and screaming for help while she did this, terrified to receive my “torture”. For the first time in what seemed like forever, I heard the frog say “goodbye for now!” The moment after this happened, however, I realized that it was nowhere near as bad as I anticipated, and I remember actually hugging my sister afterwards, thanking her for “helping” me. Whether it be a major exam one needs to take, a speech one needs to deliver, or in my case, a “scary toy”, just about everyone has experienced a time in which they nervously anticipate an upcoming event they are a part of, horrified at the supposed idea that their whole world will come crashing down should it go even slightly wrong. However, once it has passed, regardless of how well it went overall, one thing many individuals often notice is that the event itself was not as bad as they had dreaded it would be. As one of my teachers from high school once said, “anticipation is always worse than realization”. Since my own unique personal experience, I have tried my best to live my life along the lines of that teacher’s quote. True, the future is scary, and the fear of failure will always exist, but I believe that the key to overcoming fear of the unknown lies not in fixating on how to tackle the upcoming event itself, but rather taking things step-by-step, one day at a time in order to work towards conquering the longer-term fear. Freedom of speech. 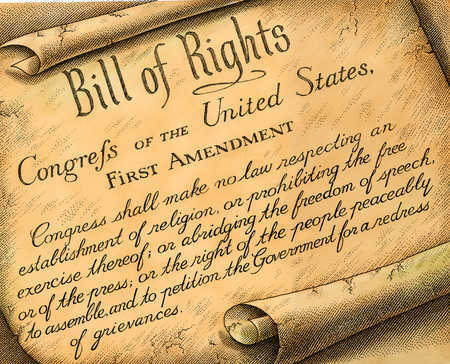 It is said to be guaranteed to all Americans, written in the First Amendment of our nation’s Bill of Rights. At first glance, one may believe that since it is an amendment in the U.S. Constitution, everyone should be free to say what they want, expressing their beliefs without consequences. However, as with many things, the reality regarding our beloved right is not as black-and-white as it initially appears. Surely, unlike many countries, an American will not be arrested for publicly denouncing their president, but incidents still exist in which a citizen will be punished for an action deemed as heinous by some, but an expression of free speech by others. The idea for this as my “Civic Issues” topic actually came from a fairly recent event. 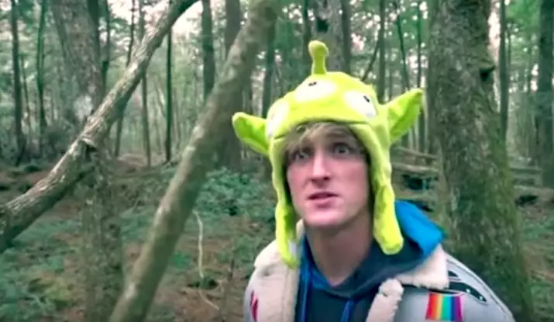 For those who are internet-savvy, you probably know of the scandal revolving around YouTube star Logan Paul’s extremely controversial video, in which he joked around in Japan’s infamous “suicide forest”. The kicker: he even showed a dead, hanging body in his vlog, still laughing as he saw it! As a result, Logan was forced to remove the video, and took a break from posting. He was also fired from a YouTube-exclusive series. While I personally agree that Logan Paul crossed the line in what he did, and as such, consequences were to be expected, another part of me could not help but ponder the boundary between what should be considered free speech and what “going too far, and warranting of punishment” should mean. In a recent English RCL lecture, my classmates and I were discussing ideas on what topic to do our Civic Issues blogs on, and one student brought up the modern-day debate regarding free speech on university campuses. This intrigued me, as I have heard several stories of college professors being pressured to issue “trigger warnings” on lectures of controversial subject matter, the implementation of “safe spaces” for women, LGBT youth, and minorities, as well as students protesting right-wing guest speakers. This is when I ultimately decided on my blog topic: the supposed “boundaries” of free speech. This is not a pre-listed topic on my professor’s course website, but rather my own choice. However, if I had to place it in one of his four sub-categories of civic issues, I would not put it in “Education”, but instead “Identities and Rights”, as the free speech debate extends far beyond college campuses, into many other aspects of civic life. In the workforce, for example, similar to how Logan Paul got in trouble for his activities on YouTube, firms have fired employees for inappropriate use of social media. The question: should the employer be allowed to fire someone for something they likely posted outside of the workplace, even though the U.S. Bill of Rights says that employee is entitled to that right? I am very much looking forward to exploring this question in detail on this blog, alongside other similar issues, including (but not limited to) arrests at protests, unwarranted government wiretapping, and “zero tolerance” policies enforced in public schools. I also hope to provider readers with my own personal insights on said topics. See you all soon!